We are closing in on another calendar year at Psi Chapter with literally just a few more days of class before we get to fall semester exams. Our fall recruitment was very successful this year with a class of seventeen new recruits who are now initiated Brothers. This is a very diverse class as previous classes have been with several legacies as well. 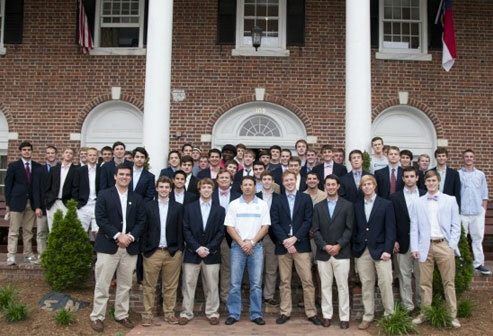 The vast majority of our new Brothers are from North Carolina, however we have several from Virginia. 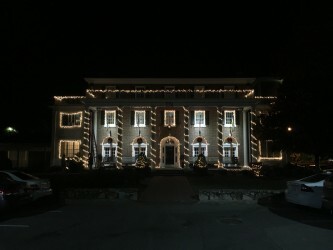 The Chapter House at 109 Fraternity Court is in very good shape. We developed a good strategy back in 2006 upon our re-colonization in keeping the Chapter House in good repair. We dedicate a significant budget to maintenance and capital improvement projects annually. Most of our work takes place during the summer recess as we now close the house during the summer for this very reason. This past year we did some maintenance and repair to our basement activity room, the Chapter Room with some new millwork and seating area, continued yard maintenance with a new landscaping company and some painting in the Coxhead Wing (dinning and kitchen). We are already making prioritized plans for work to occur during the summer of 2018. I think there are two other significant items that should be brought to your attention. First, we have diligently worked hard to increase participation in the Alumni Advisory Board for the Chapter. Our new Chairman is Michael Crook from Raleigh. Michael is doing an outstanding job and is truly dedicated to keeping the spirit of Psi Chapter alive and well. In addition to Michael, Bob James, David Crispin, Graham Ashe, McPhail Kirvin and Nick Troxell are participating. Unfortunately, we had to accept the resignation of Josh Weeks in October as his new career path returned him to the Atlanta Metro Area. We will miss Josh and his skills with the Chapter Leadership Team. The other item we have instituted is a formal leadership development position at the AAB. David Redmond, a distinguished professional leadership coach has joined our team and works hand in hand with the AAB and the Chapter. We held our first Leadership transition meeting in January of this year and the next one is on the books for this coming January. This assures us of a smooth transition in Chapter Leadership, accountability, goal setting and transparent communications. Our student leaders must go through an interview process with AAB members before they can submit an application to run for any Chapter leadership position. Those were concluded before Thanksgiving and Chapter elections are set for Monday, November 27, 2017. As you can see we have been active at Psi Chapter and continue to be good stewards of the Chapter House and our assets at UNC-Chapel Hill. We invite you to contact us with questions. If you are in the UNC-CH area, we can always use additional assistance on the AAB. I hope you and yours have a healthy, prosperous and safe Holiday Season. Psi Home Association of Sigma Nu, Inc.